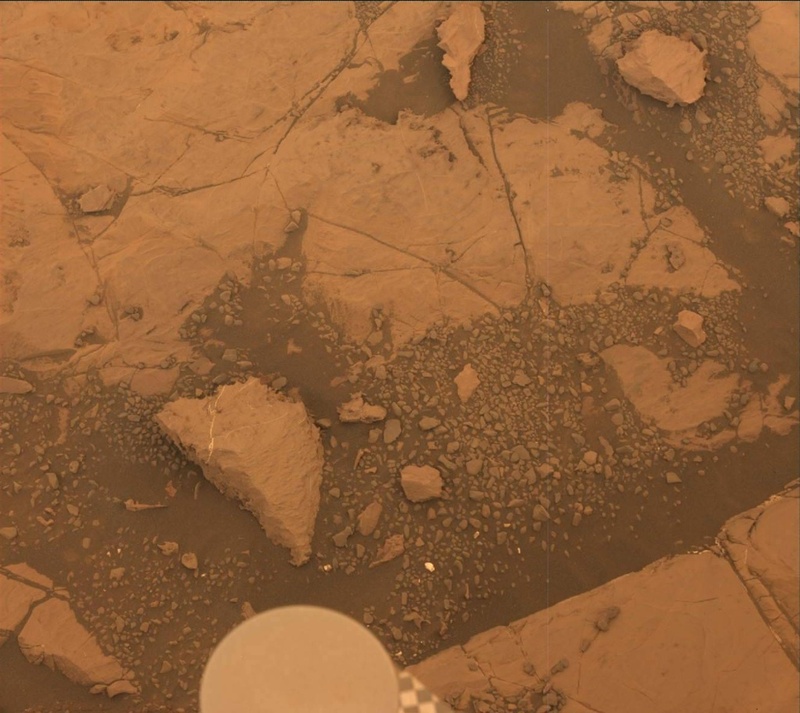 Mars dealt us a winning hand today, yielding a sufficiently flat parking space after yesterday's short bump to allow us to proceed with our plan to drill in this part of the "Vera Rubin Ridge." Our current parking spot does not exhibit as strong a hematite signal from orbit as the site of our last drill attempt, but it still importantly provides an opportunity to sample the "Pettegrove Point" member of the Vera Rubin Ridge. Today we focused almost solely on characterizing the drill target, melodiously named "Ailsa Craig," using MAHLI and APXS after brushing it with the DRT. The rover will also place the drill in contact with the target and push into it to test the target's stability for drilling. If our luck continues, we will attempt drilling tomorrow! The science team managed to squeeze one observation unrelated to drilling into the plan - a single image of the sky to monitor the dust in the atmosphere.